What's the ROI of your mobile apps? Are they keeping users engaged? Are your customers happy with their design? What can you do to improve app performance? If you're not using analytics in your mobile apps, you likely don't have the answer to these and similar questions. A report from Gartner analytics Jason Wong and Adrian Leow, "Use Mobile App Analytics to Increase Engagement and Performance," shows how companies can use analytics to improve the performance of their mobile apps and gain a better ROI. The report notes that "Mobile analytics is critical for continuous improvement of the app itself, as well as for gathering useful business intelligence. A multifaceted mobile analytics plan will help an enterprise quantify its mobile app strategy." How do you put a mobile analytics plan into effect? 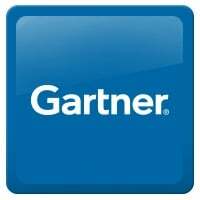 Gartner recommends mobile application performance monitoring (APM) and operational app analytics software. Typically, that software comes into play after the development process. So companies can continue with their normal development cycle, beginning with the discovery of an idea, then on to designing the app and user experience, development and testing, and deployment. Only then does mobile analytics come into play. First, mobile app analytics tools gather data, including device details, wireless network conditions, and the nitty-gritty of the operations of the mobile app, such as resource consumption, network disconnections, the tracking of touch gestures, and other app interactions. At that point, the information should be sent to data scientists, product owners, and digital marketers, who can use the data to gain important insights. The report says, "In-app behavioral analytics help businesses improve their product and service delivery and identify factors to increase sales and user engagement. Using analytics to get the optimal mix of features and functions is especially critical to the mobile app UX, because of the constraints of the user interface when compared to desktop and Web apps." Based on the findings, companies can use A/B testing, and use a variety of techniques such as creating heat maps and performing retention analysis to improve their apps. Important is that this be seen as a continual loop, so that each new iteration of the app continues to be tested in this way. To read how in-app analytics can save your mobile app, click here. Doing this requires a flexible development platform that lets you iterate quickly --- something at which that Alpha Anywhere excels. For more details, click here.